Buying tickets from Fringe Theatre used to be frustrating because the site was so slow. It's not slow anymore! 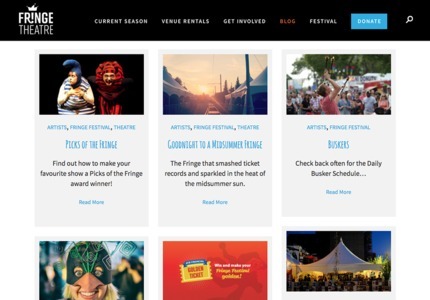 Fringe Theatre needed help managing API integrations with a complicated ticketing platform and a content strategy to assist in bringing in new attendees to the Festival as well as shows throughout the year. 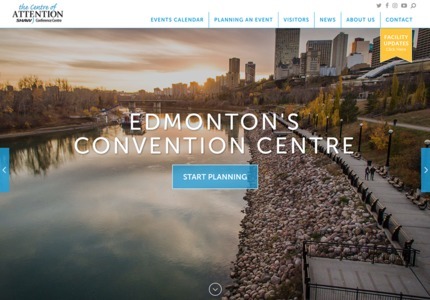 Shaw Conference Centre needed a website that would attract more business and show off the beauty of the conference centre and area. Bold colors and high quality images of the space were important must-haves for this design.